Excellent Temperature Stability, 20ppm/°C, Typ. - Impedance: 600Ω + 10%. 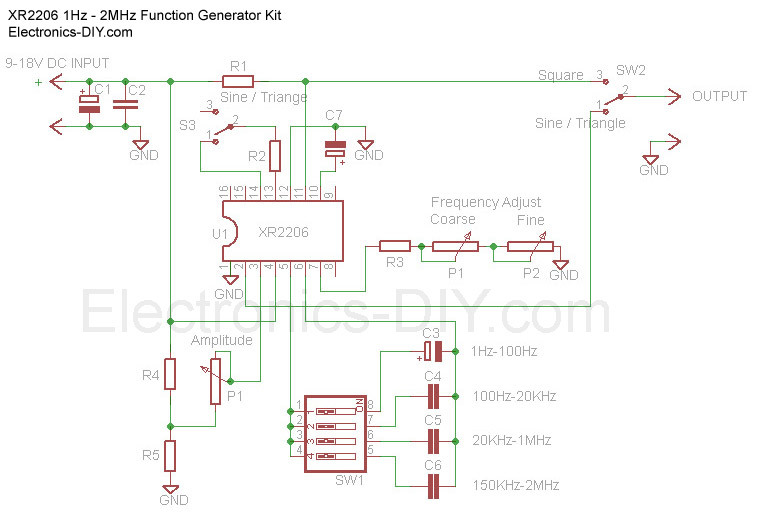 - Frequency: 1Hz - 1MHz in 6 decade steps with variable ranges. - Amplitude: 0 - 3Vpp at 9VDC input. - Amplitude: 8V (no load) at 9VDC input.